Are you planning a birthday celebration? Look no further than Willow Creek Lanes! Whether your planning your own birthday celebration, or planning a big surprise, give us a call! Willow Creek Lanes can help you take care of all the planning. 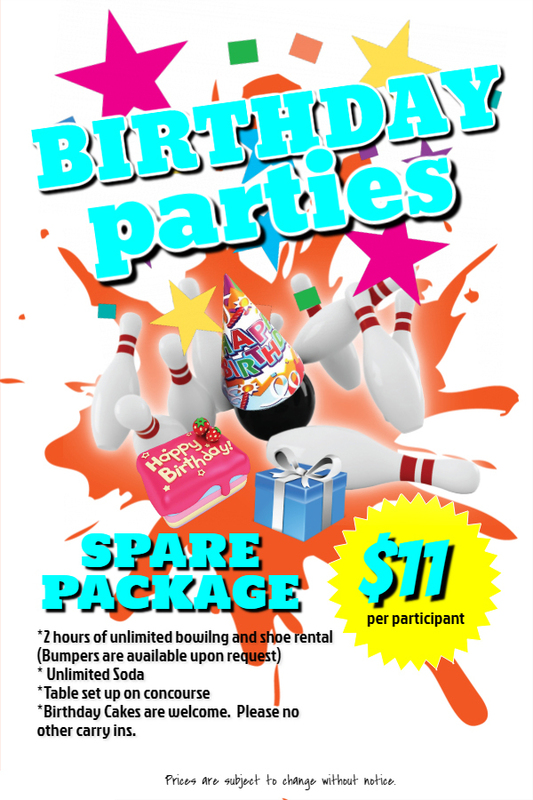 Plus you’ll have access to our “Special Birthday Party Bowling Games”. 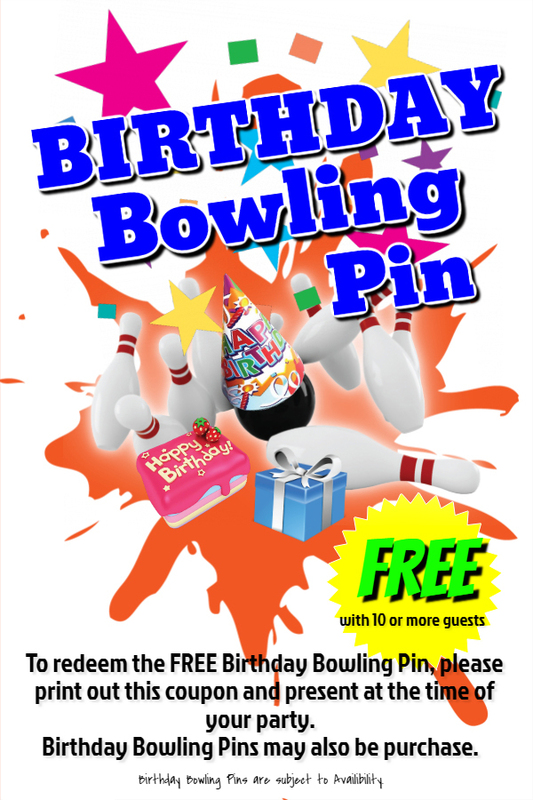 These games have been designed for groups looking to have a great time even if you don’t have a lot of bowlers. As long as you can have FUN, these games are for you! 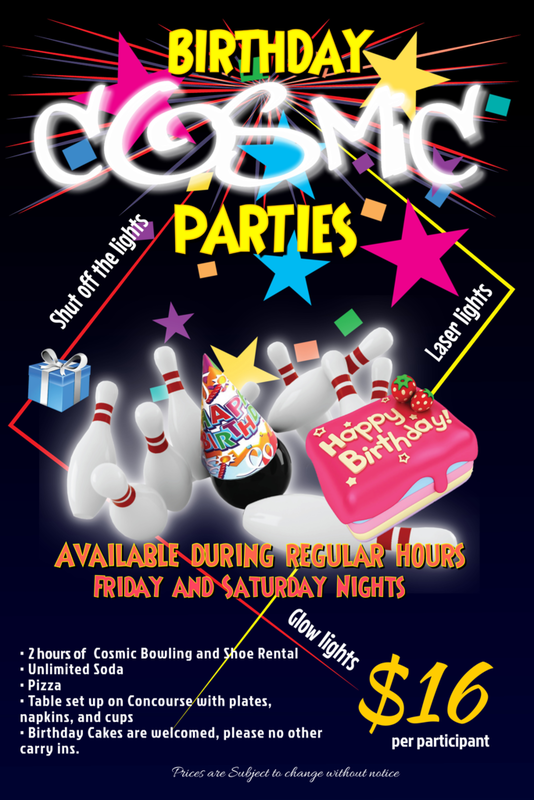 Willow Creek Lanes can also help provide you with a great theme party. Groups have done a Bowling For Beads game and turned it into Mardi Gras. Others have used Leis and had a Hawaiian Theme. Or how about a “Bowling Bingo” game? Don’t worry we’ll help you plan the entire event. 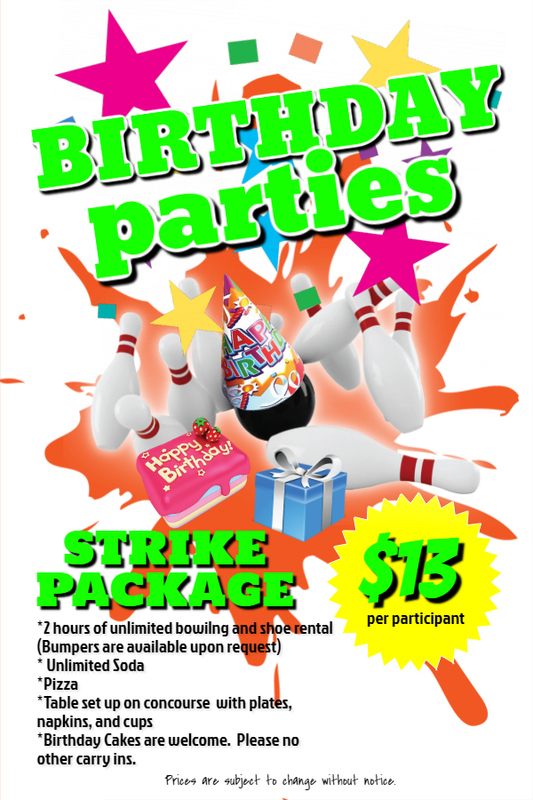 Willow Creek Lanes can provide the perfect party for adults only, but we can also provide a great party that your friends and family would love to bring their kids to as well. You will see PLENTY OF SMILES and it’s hard to miss the SOUNDS OF LAUGHTER above the balls rolling and pins crashing.